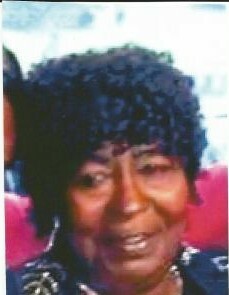 Ms. Margie Hines Tutton,79, Hookerton NC died at her resident on Thursday, January 11,2018. Funeral 1 pm Saturday, January 20, 2018 at Salvation & Praise Full Gospel Church viewing and visitation 12 noon Saturday at the church, one hour prior to service, burial in St. Delight Community Cemetery, Walstonburg, NC. Margie was blessed with a beautiful spirit and a devoted passion for life and her family. Margie was preceded in death by her sons; Donald Tutton, Marshall Hines and Milton Hines, her siblings; James Richard Hines, Mamie Langston, Annie Maye Hines, Queen Ester Jones, Fannie Dixon and Georgia Bell Williams. Margie leaves cherished memories to her sister; Mary Darden, her 2 daughters; Linda Tutton Jones and Joyce Jones Royster, granddaughters; Tiffany Blow, Rosalyn Williams, Tyesha Hines, Tre'onna Jones and India Jones, grandsons; Corey Lamont Hines, Milton Earl Hines Jr., Corey Hines, and Isarel Jones, and a host of nieces, nephews, other relatives and friends.